An original Tiffany Studios leaded glass and bronze floor lamp comprising a 20-inch diameter shade consisting of a geometric grid of squared glass tiles, featuring a decorative horizontal border row of rectangular iridescent Turtle Back tiles set amongst richly mottled light green background glass. The shade rests on a bronze Junior Floor base, the leading and bronze finish in a rich brown patina. 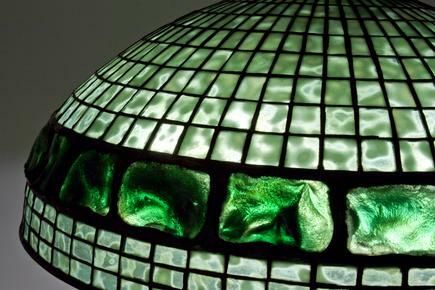 Both the shade and the base of this original Tiffany lamp are signed. 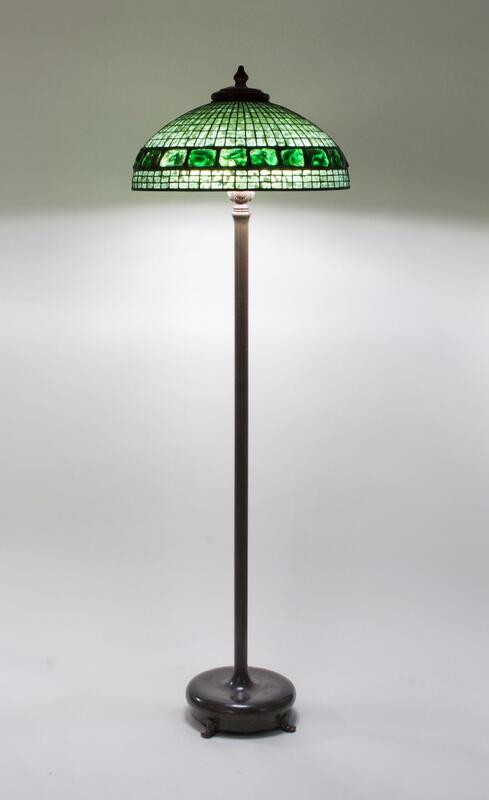 An original Tiffany Studios leaded glass and bronze floor lamp comprising a 20-inch diameter shade consisting of a geometric grid of squared glass tiles, featuring a decorative horizontal border row of rectangular iridescent "Turtle Back" tiles set amongst richly mottled light green background glass. The shade rests on a bronze Junior Floor base, the leading and bronze finish in a rich brown patina. 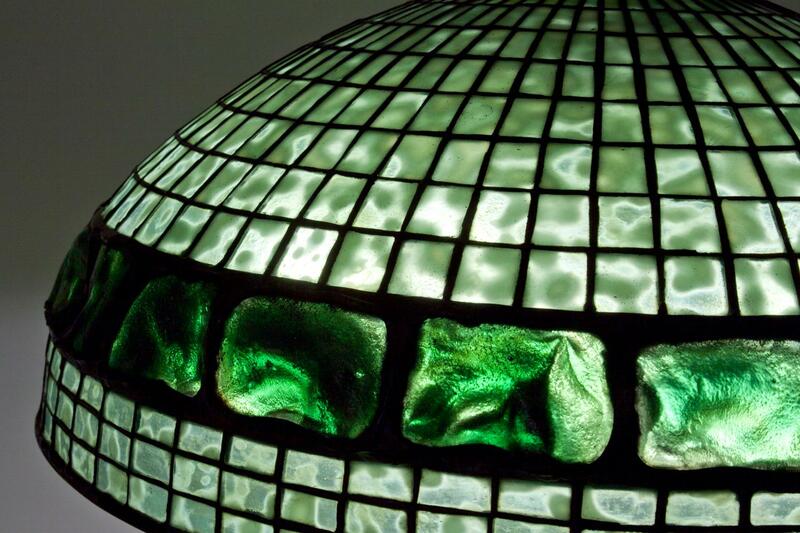 Both the shade and the base of this original Tiffany lamp are signed.